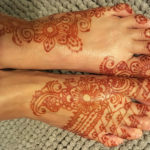 How do you know that the henna you are getting is safe? This handy checklist will help you determine henna safety. 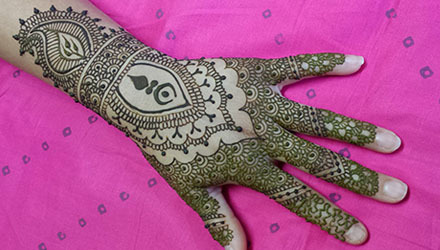 The artist should seem knowledgeable about henna and how henna works. Ask the artist if they mix their own henna. A professional artist should be mixing their own henna. Ask what is in the henna paste. You should recognize everything and it shouldn’t’ be a terribly long list. Ask how long the henna needs to be on the skin. The answer should be a good long while (bare minimum of 2 hours). Ask what color the henna stain will be on the skin. It should start off orange and darken over a couple of days. If the henna does not do this, it is NOT safe henna. The henna should smell of the oils used in the henna. Henna is fun! 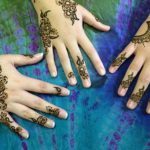 Consider learning to mix and apply your own henna! 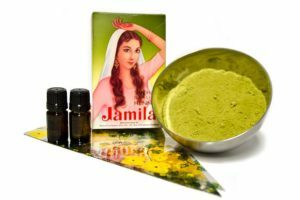 Our convenient starter henna kits have everything you need to learn how to henna. 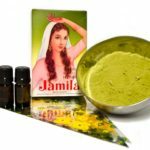 The company should be knowledgeable about henna and how it works. The company (or more-so the people in the company) should regularly use henna. They should be open about henna information. The henna purchased should behave the way henna is supposed to behave. We offer a complete selection of quality henna products and we ship worldwide. Next PostIs Black Henna Safe?